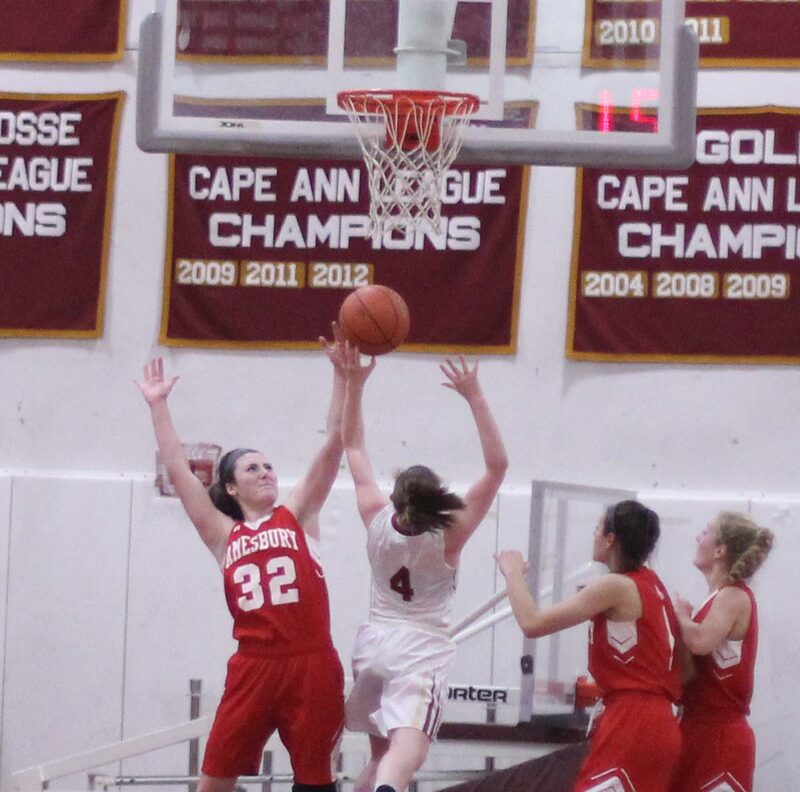 Flannery O’Connor (#12) had ten points for Amesbury in the third period. 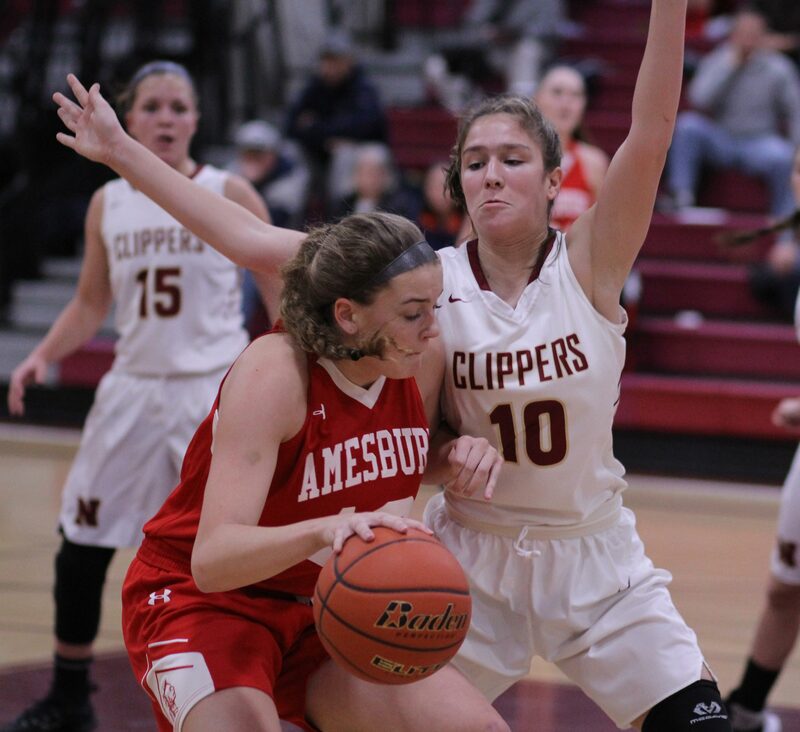 (Byfield MA) Amesbury (11-0) remains unbeaten after defeating Triton, 44-30, on Monday night in Cape Ann League action. 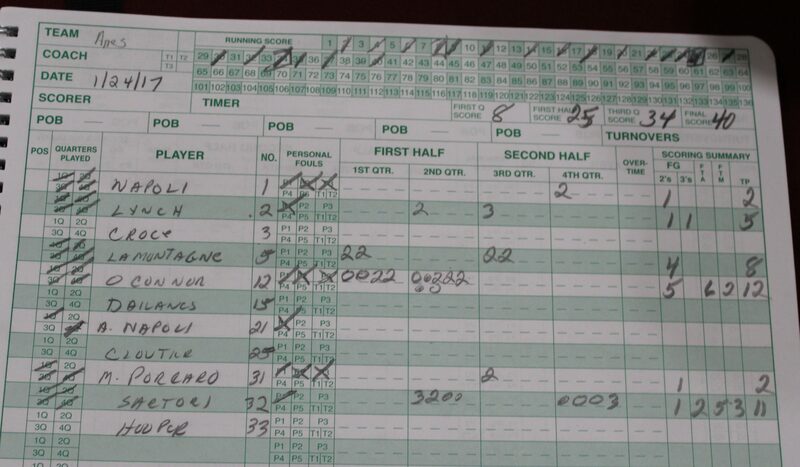 This game was anything but pretty as the two teams combined for forty-three turnovers and nineteen missed free throws. 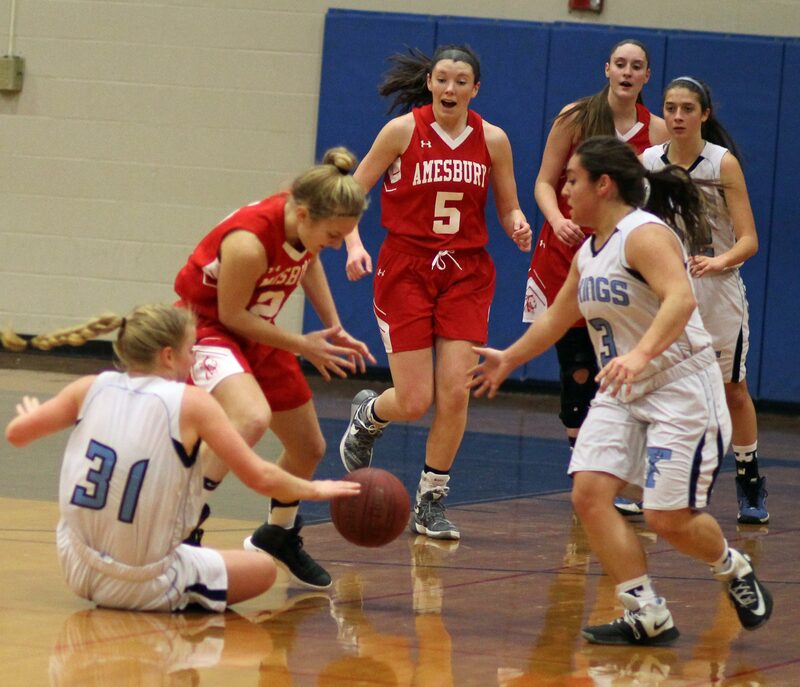 How did Amesbury win? The Indians had a 19-3 third quarter. 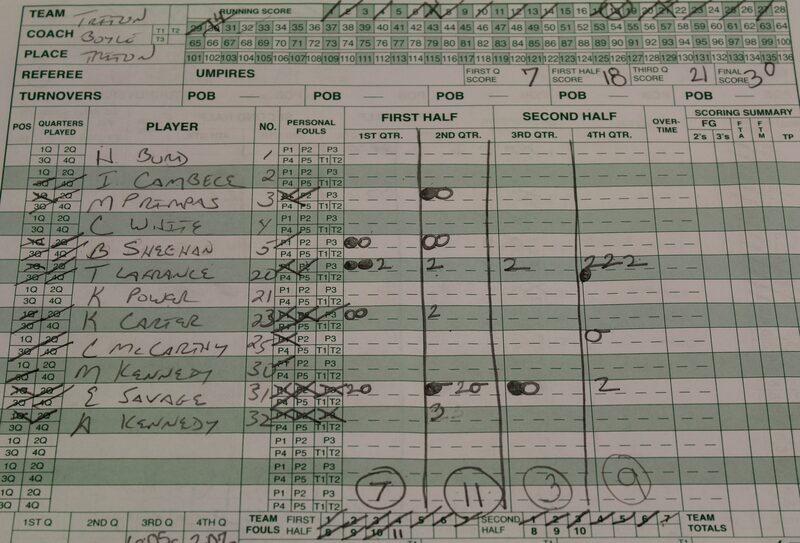 Flannery O’Connor (16 points) had ten points and two assists in the breakaway frame. The Vikings (6-4), meanwhile, had seven turnovers in that same quarter and didn’t score at all in the final four minutes. 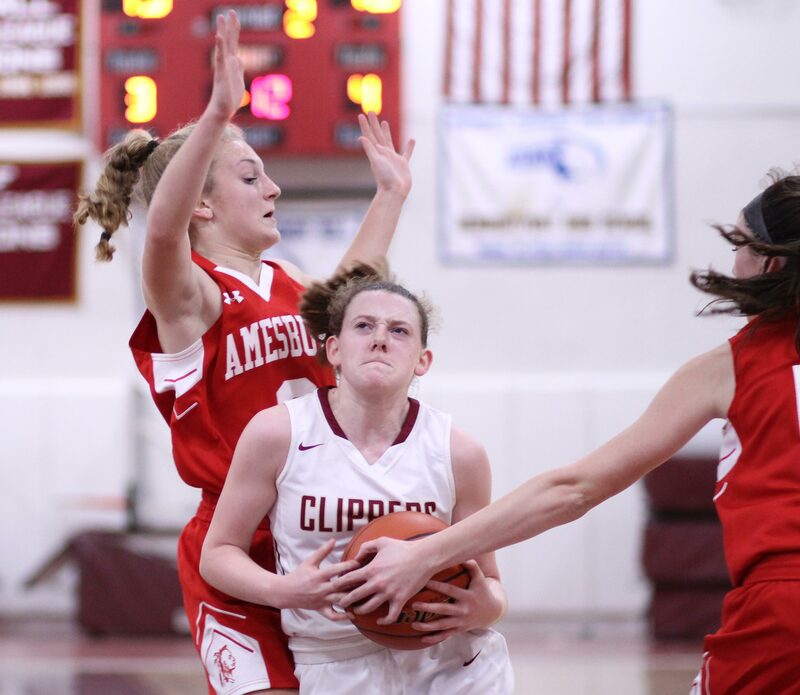 The run of good offense/defense by Amesbury brightened a dismal 18-18 first half for both teams. 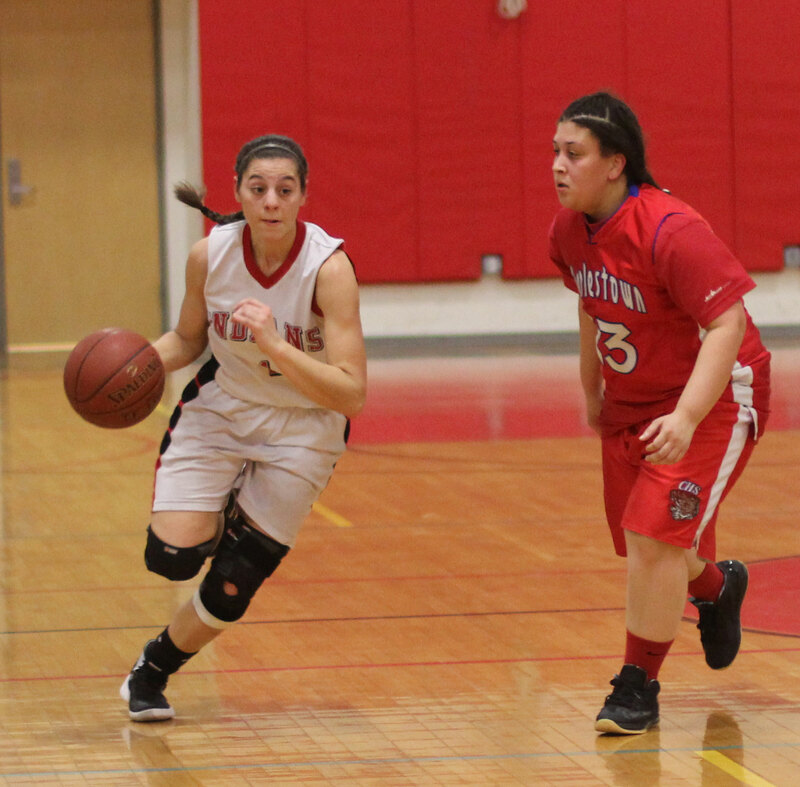 Triton “won” the other three quarters but certainly not the crucial third quarter and that cost the home team. 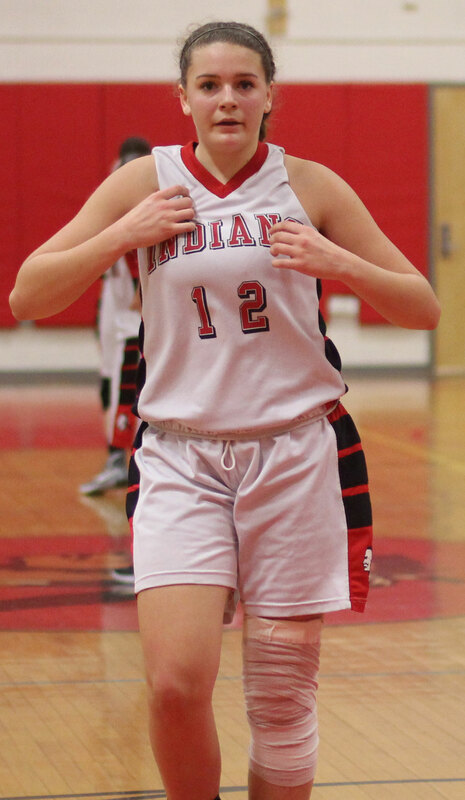 Another factor in the Indians’ victory was the denial defense Maddie Napoli played on Tessa Lafrance. 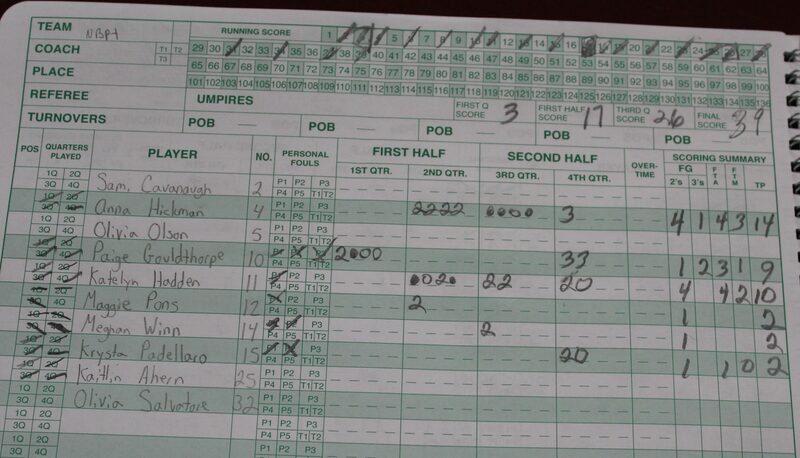 Tessa did get fifteen points but eight of them were in the final quarter. Outside accuracy was almost non-existent for both teams. 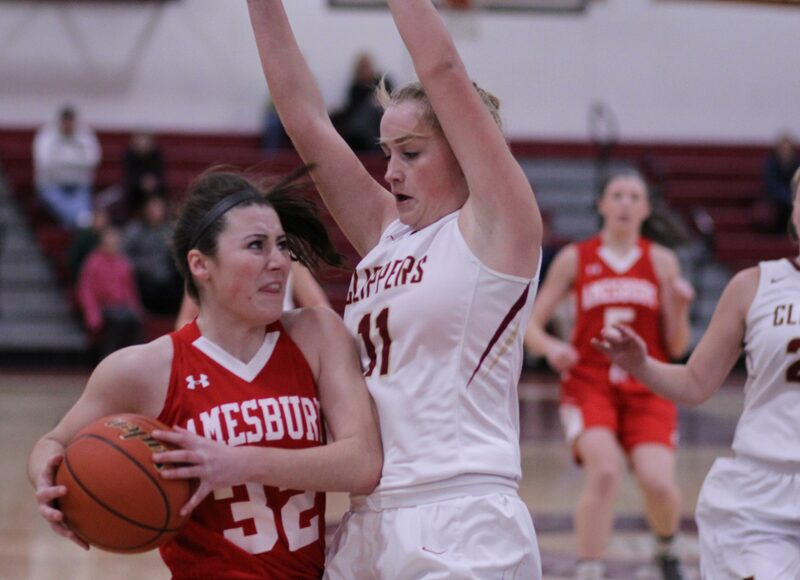 Amesbury found layups off turnovers and rebound breakouts. 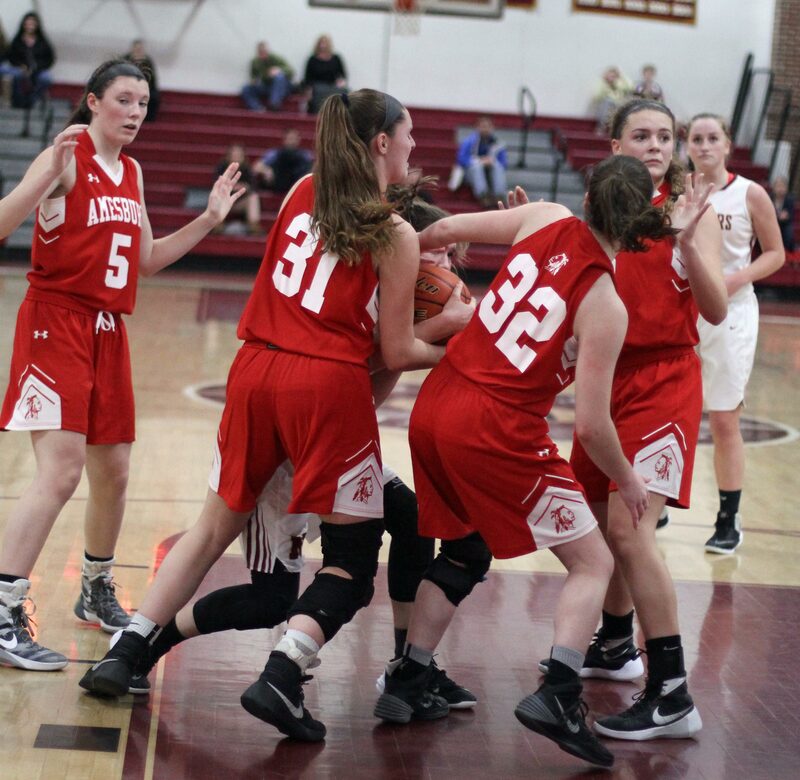 It turned out that Amesbury had an excellent 2-2-1 pressing defense but because of their infrequent baskets we didn’t see much of it in the first half. 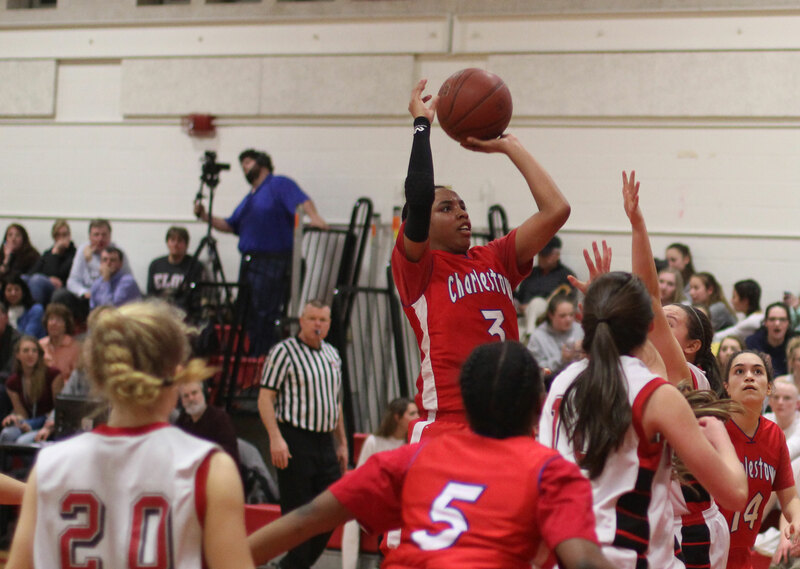 Late in the third period, however, was a different story, as AHS turned pressure into points. The Indians closed the 3rd quarter with ten straight points. 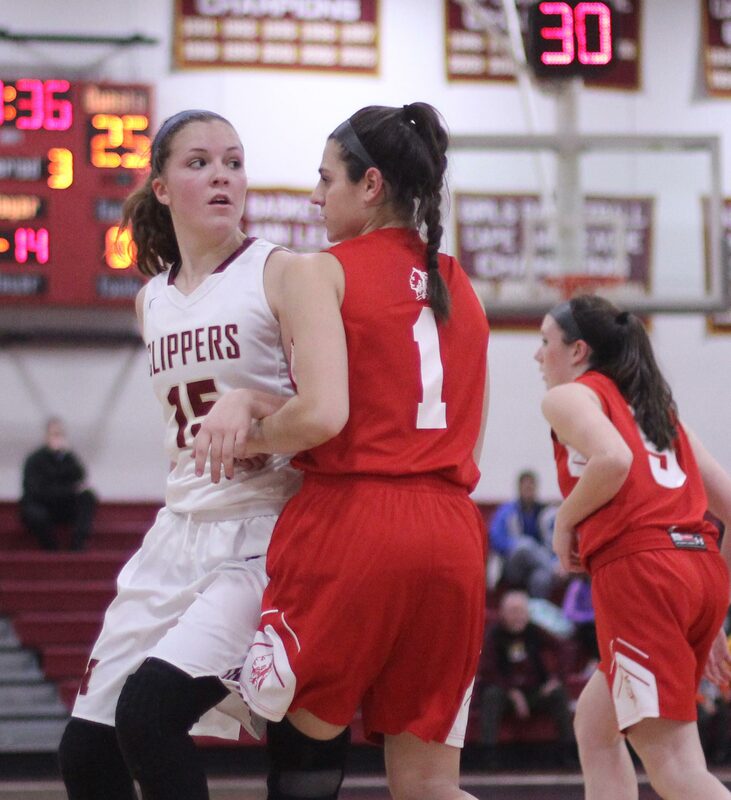 Flannery had eight of those points; two of them off Triton turnovers, one on a full-court layup, and a 4th on a feed from Ali Napoli. Given the opportunity in the first half to function without facing full-court pressure, Triton was much more comfortable. 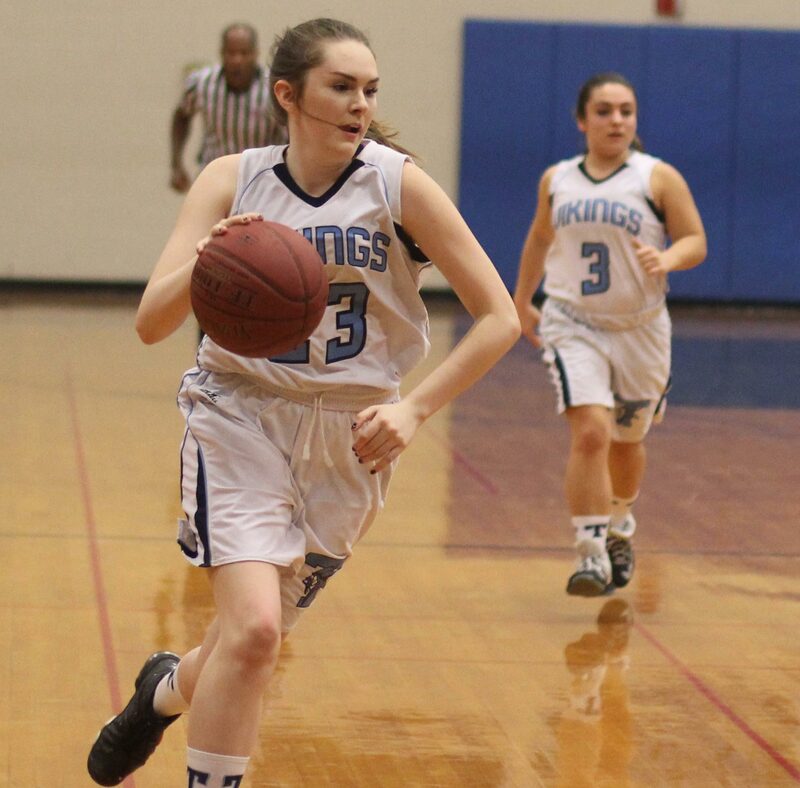 They passed the ball and they saw to it that Erin Savage was in a position to make plays. 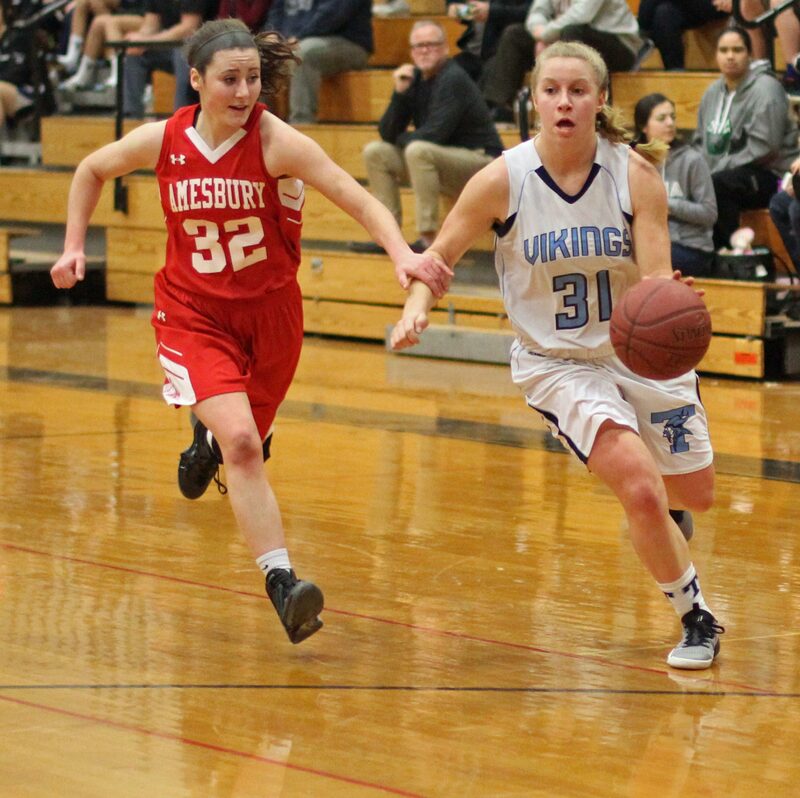 Defensively in the first half, the Vikings forced long shots and really swallowed up Amesbury penetrations. At halftime, you didn’t know how the second half might go. 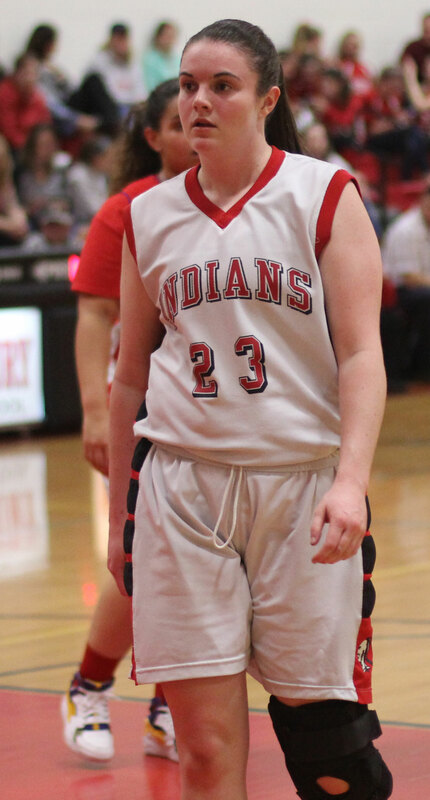 The Indians, however, did play most of the first half without foul-plagued Flannery. The sophomore certainly made a difference in the third quarter. 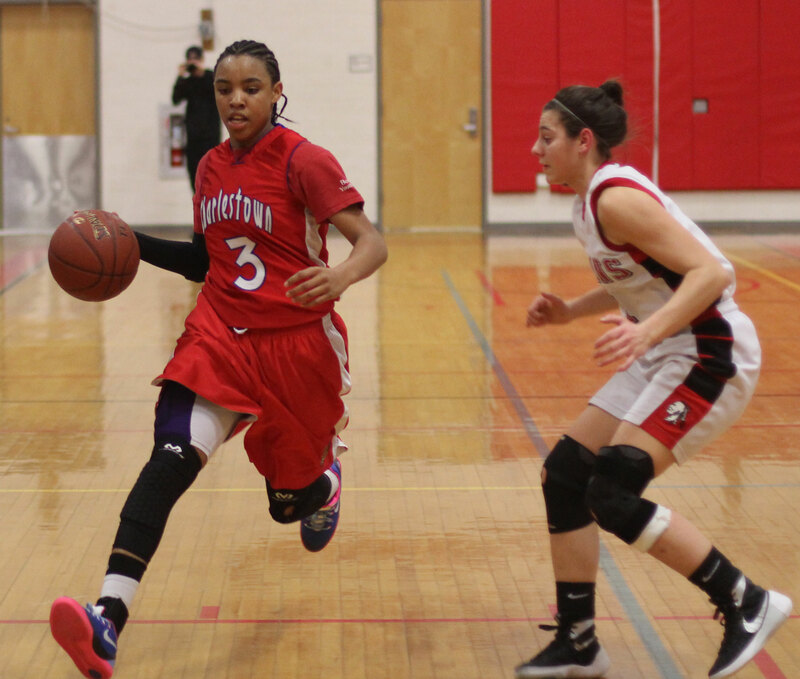 She can rebound, pass, and score inside. One scary moment in this game was when Maddie Napoli dove into the stands to save a ball. 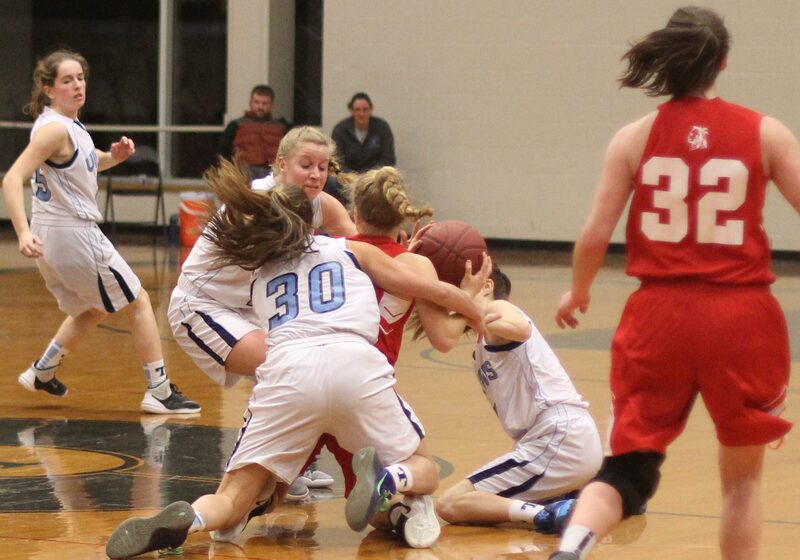 Maddie collided with a man holding a baby as she saved the ball to her sister Ali. 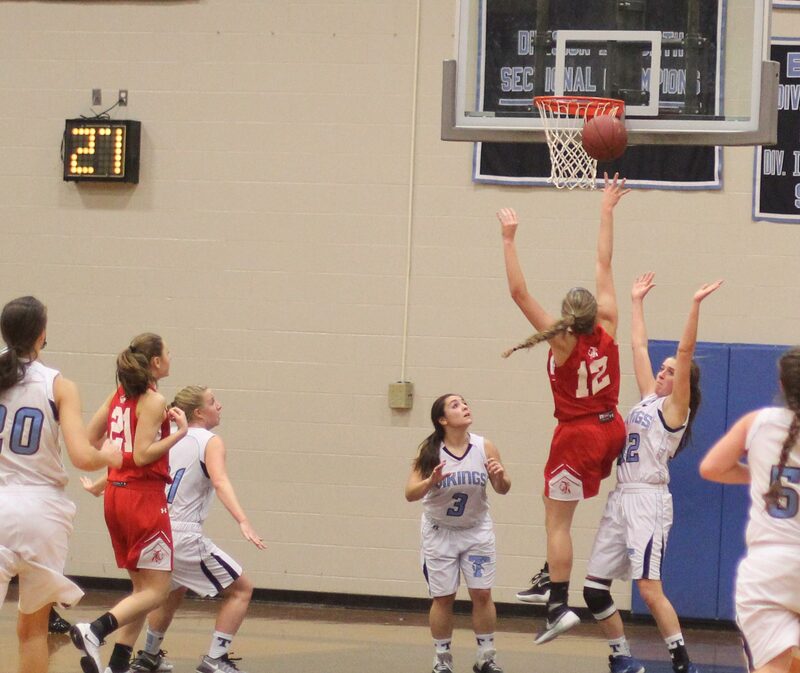 Ali made a layup while Maddie made sure that things were okay in the stands…….and they were. 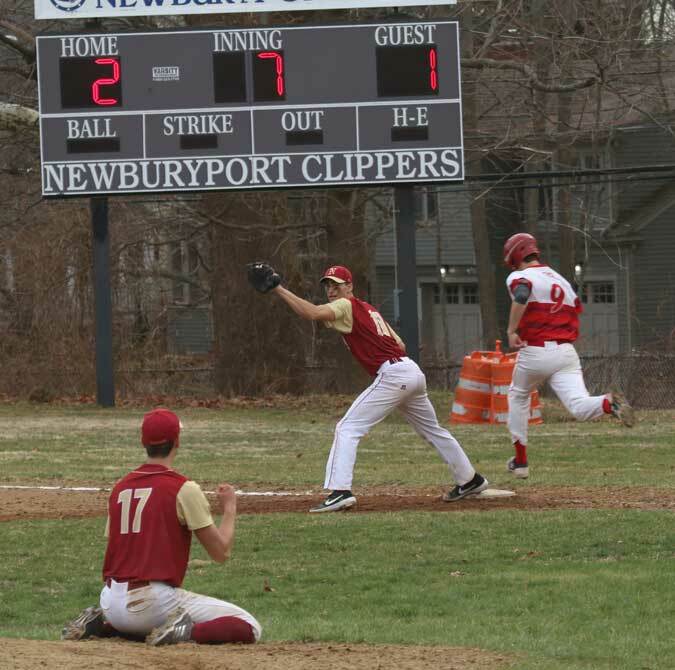 Amesbury came into this game averaging sixty-four points per outing. 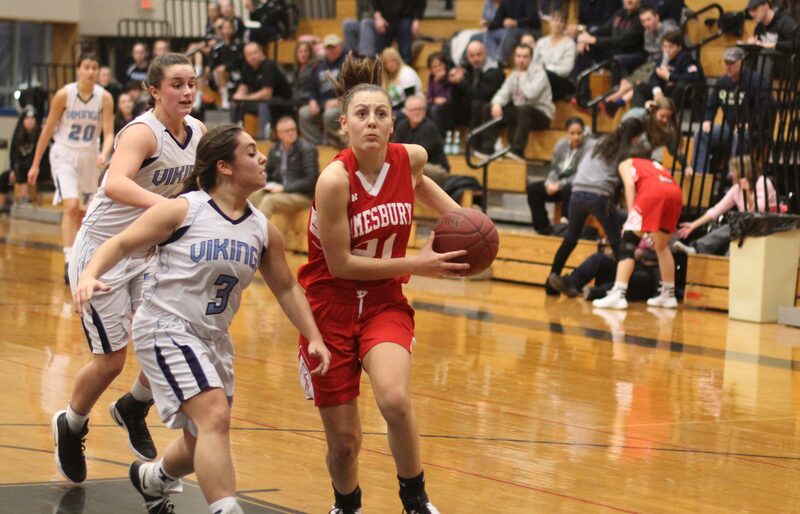 Amesbury matched last season’s win total with their eleventh win. 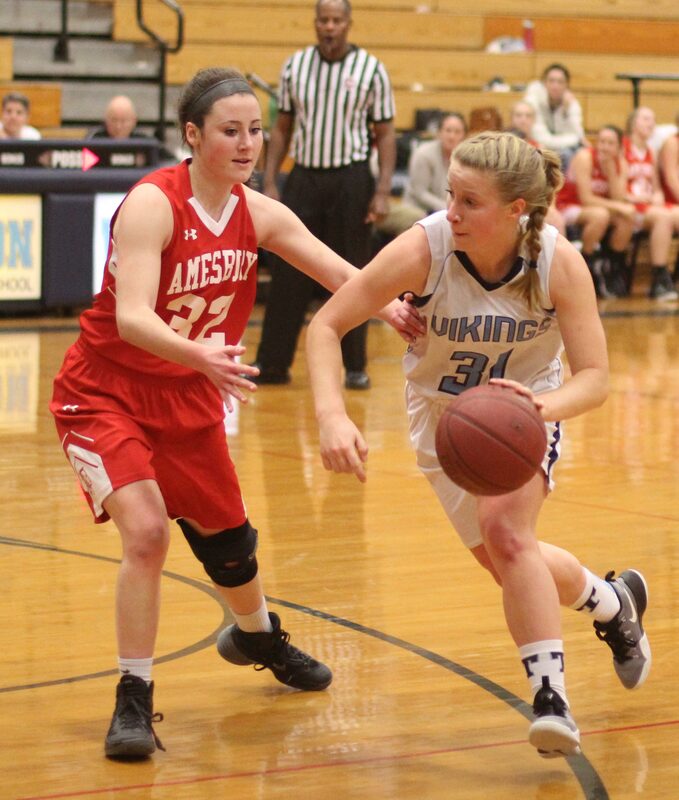 The Vikings had won four straight before losing their last two. 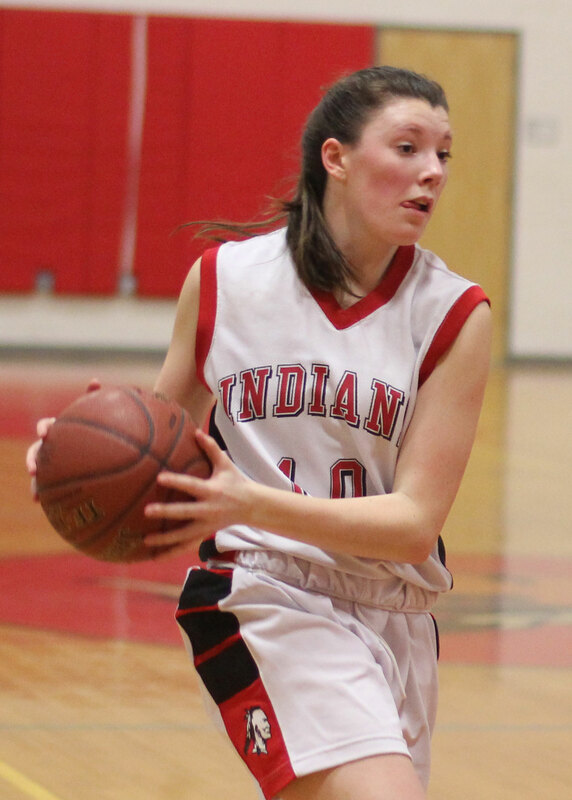 The undefeated Indians have yet to face Pentucket, Newburyport, and Manchester-Essex. All of those teams have winning records. 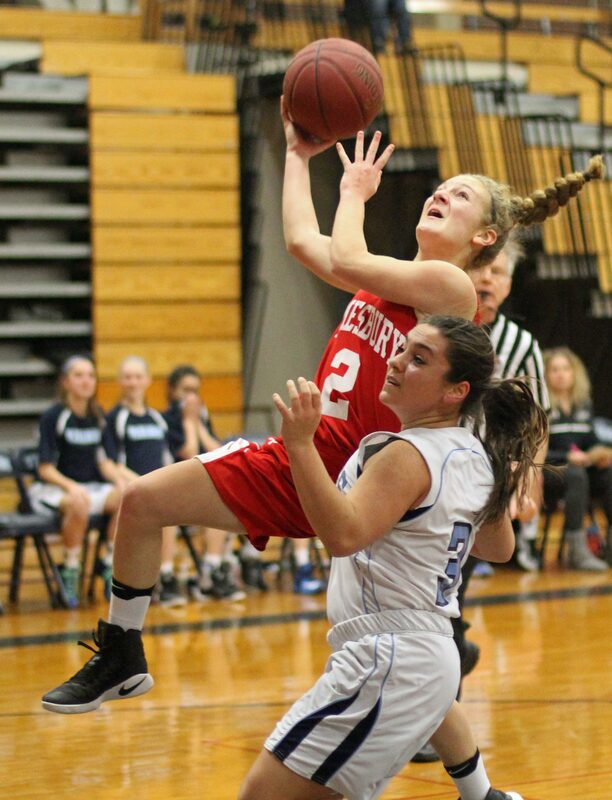 Amesbury’s next game is Tuesday hosting non-league Stoneham. 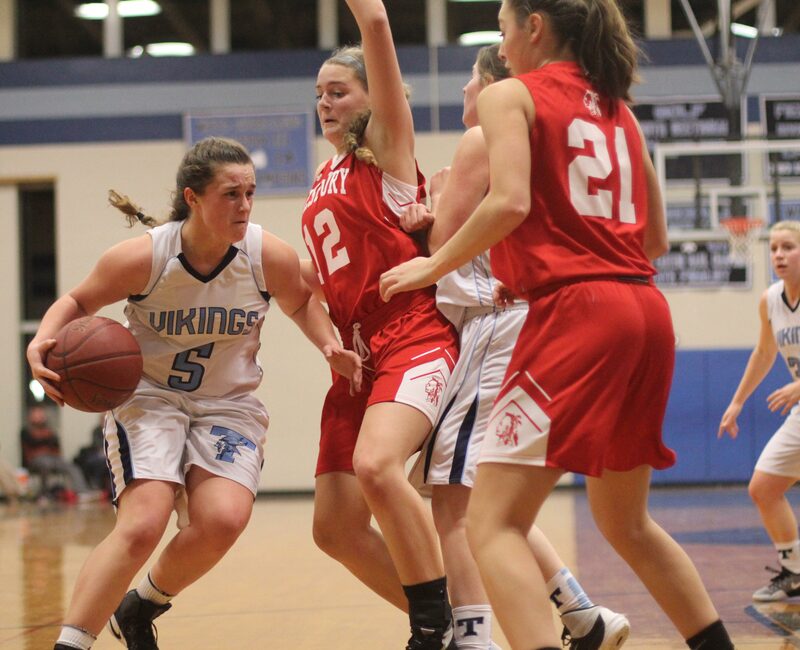 Triton visits Essex Tech on Wednesday. 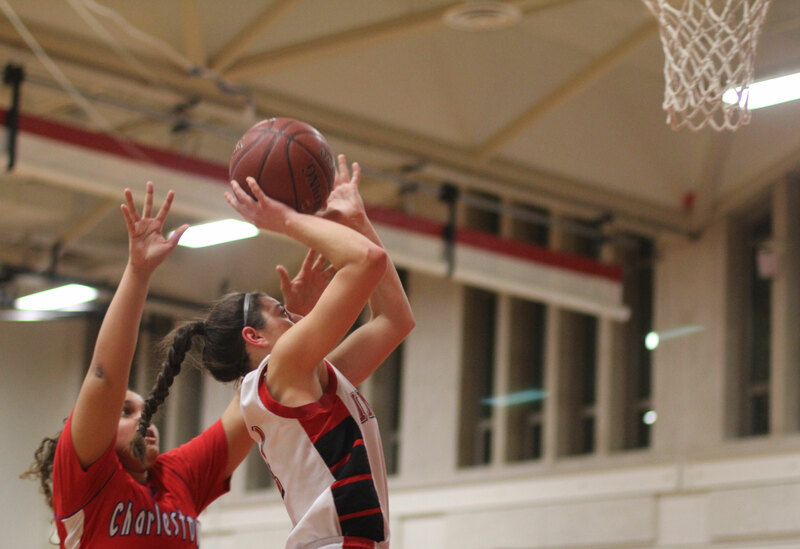 Julia LaMontagne had five baskets and four of them were off feeds from Flannery O’Connor. 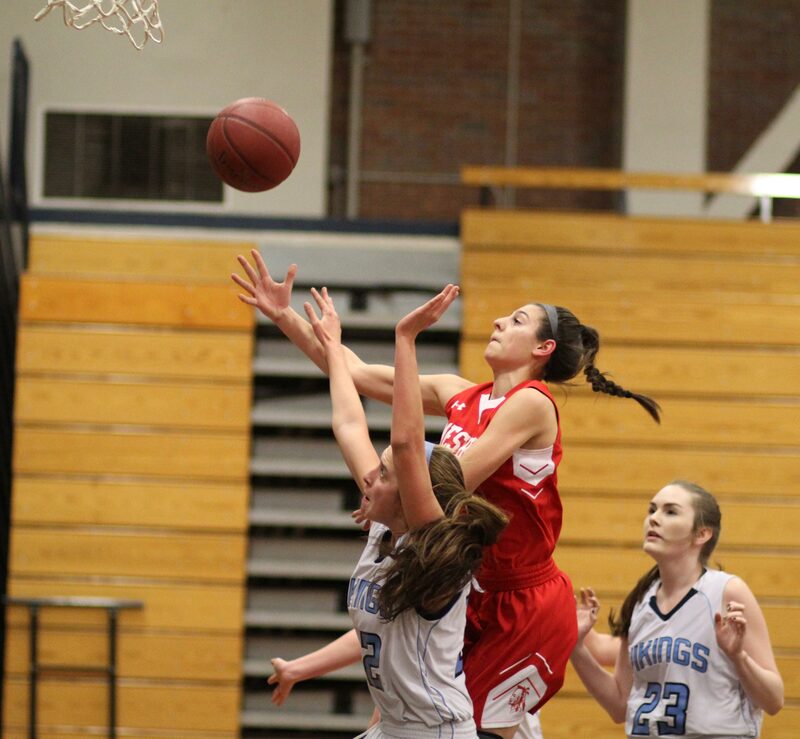 Ali Napoli scores while her sister Maddie (in the background) checks on spectators. 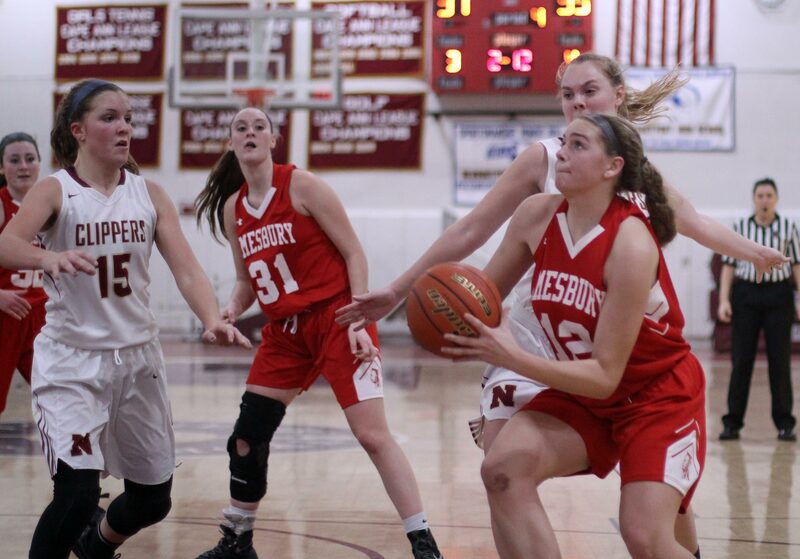 Amesbury (11-8) jumped on visiting Charlestown (8-9) early and often on their way to an 83-40 win in the First Round of the D3 North tournament on Monday night. 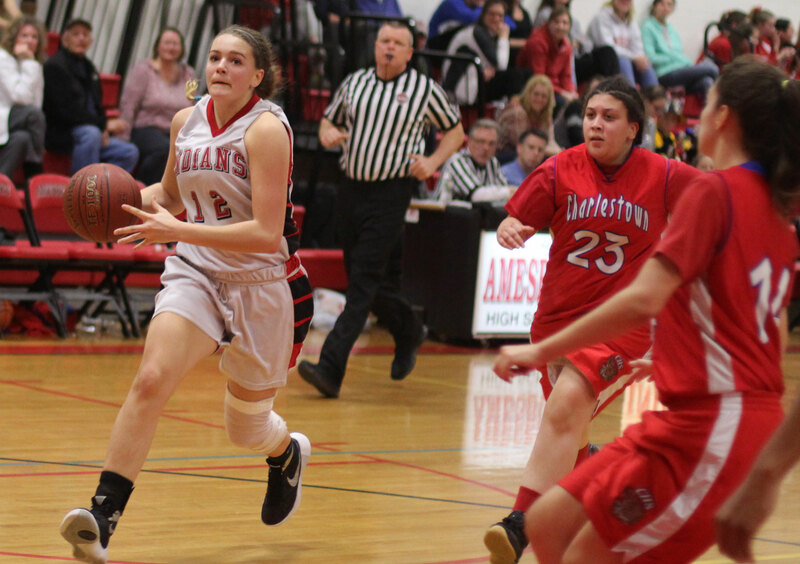 The Townies brought only six players and the Indians were quick to apply as much pressure as possible in an attempt to wear the visitors down. 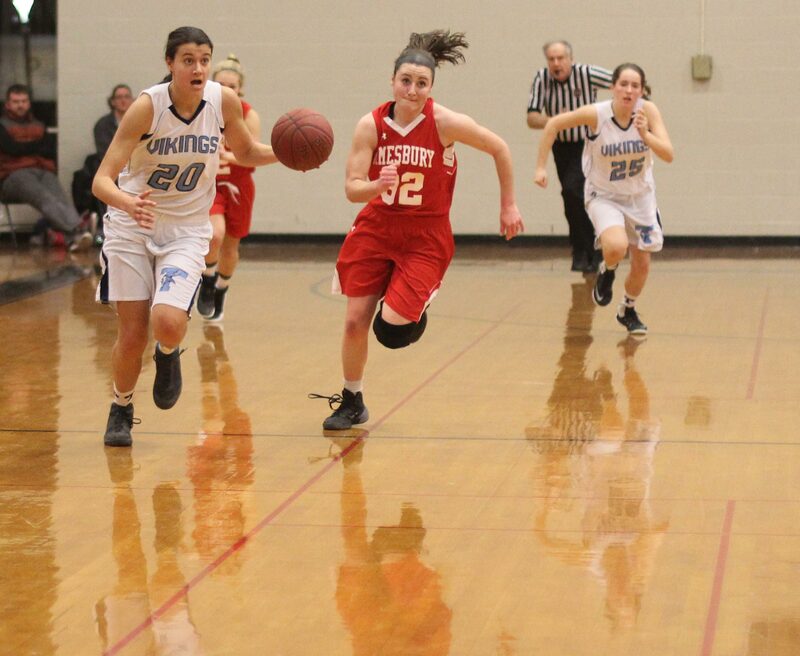 Amesbury harassed Charlestown into twelve first-quarter turnovers and put up the game’s first nineteen points. 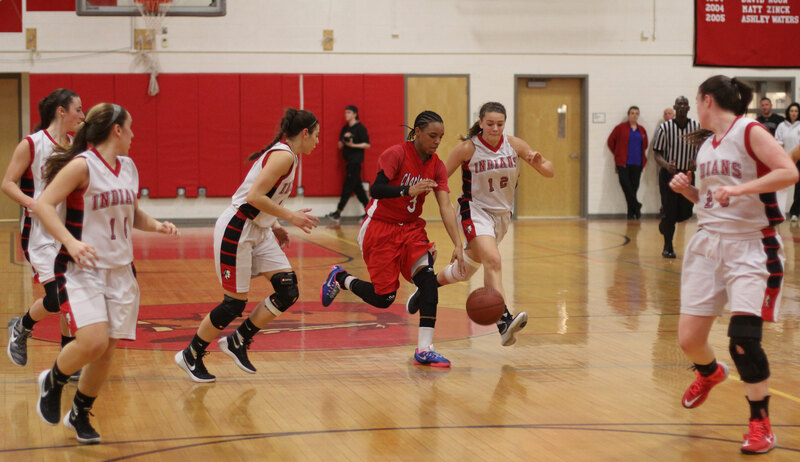 AHS had those 19 points in the first 3 ½ minutes. 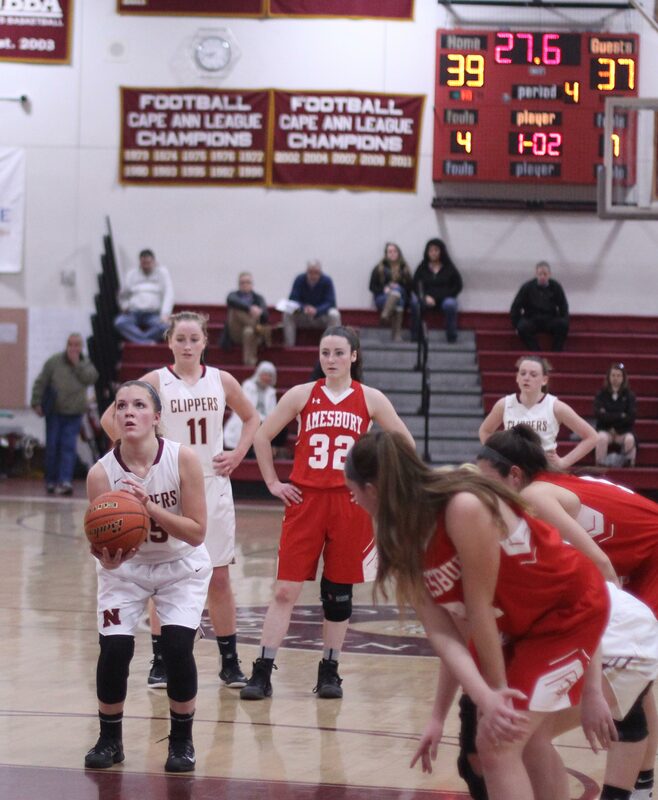 Maddie Napoli (11 points) hit a three in the breakaway segment but everything else came from high-percentage, inside attempts. 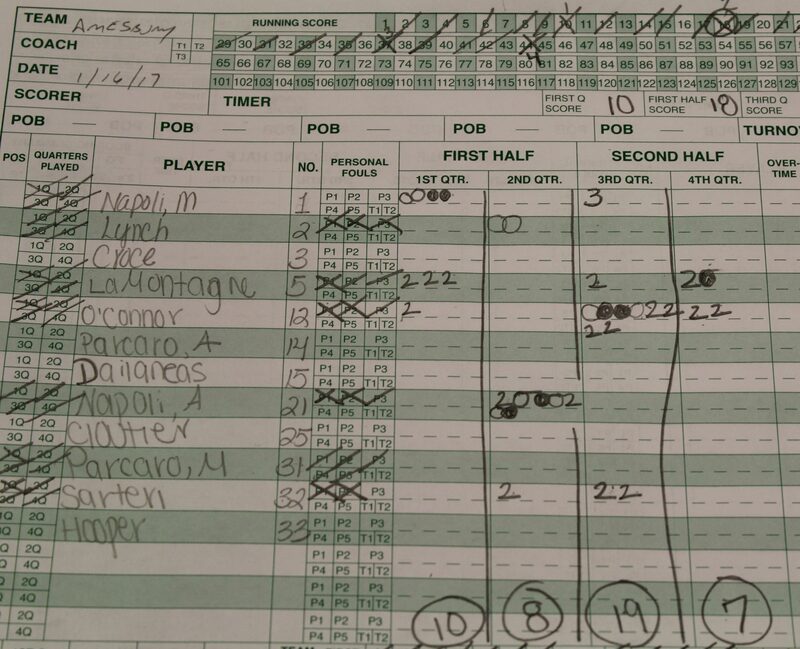 Amesbury coach Matt Willis, in an act of early mercy in my opinion, pulled off full-court pressure with the nineteen points lead and Charlestown got a chance to show how they won eight games in the Boston City League. 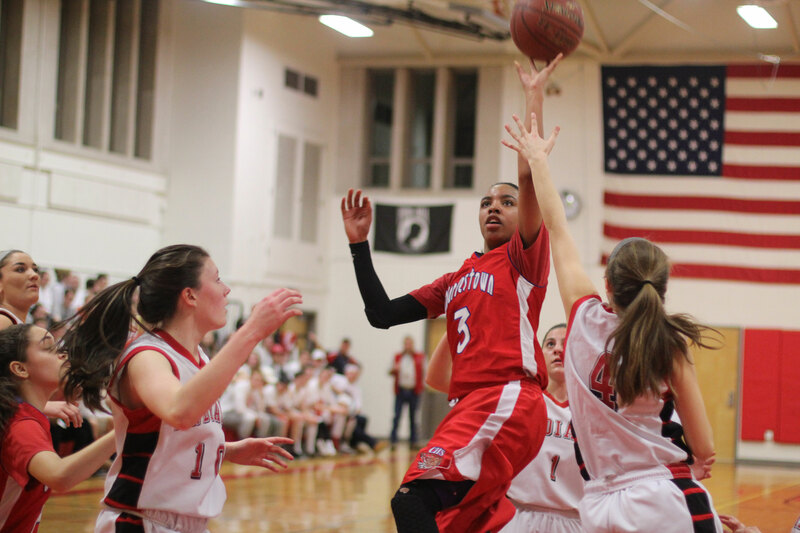 Charlestown mounted a bit of a comeback and the sizable home crowd got a good look at the Townies Rae Miles-Willis (28 points) and her ability to dribble in traffic and put up shots in traffic. The junior lefty didn’t launch long ones but connected on a variety of pull-up jumpers inside the arc. 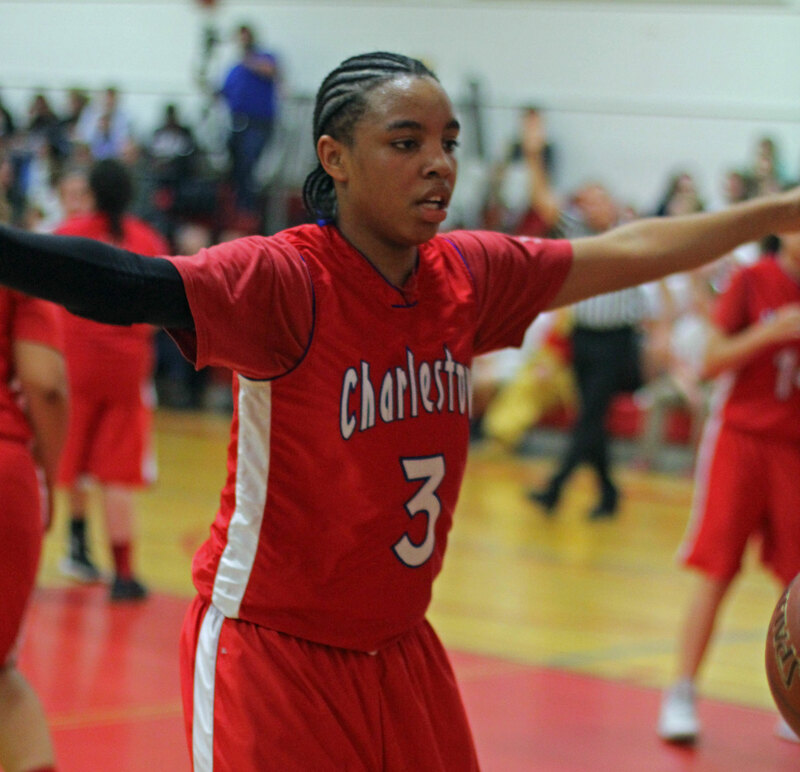 Rae’s offense, twelve points in the second quarter, enabled Charlestown to trail only, 39-22, at the half. 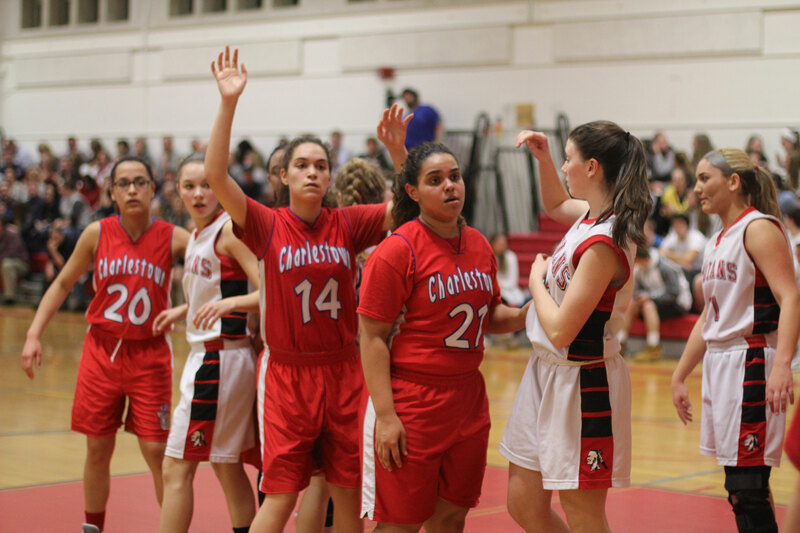 In the third quarter things went seriously downhill for the Townies. 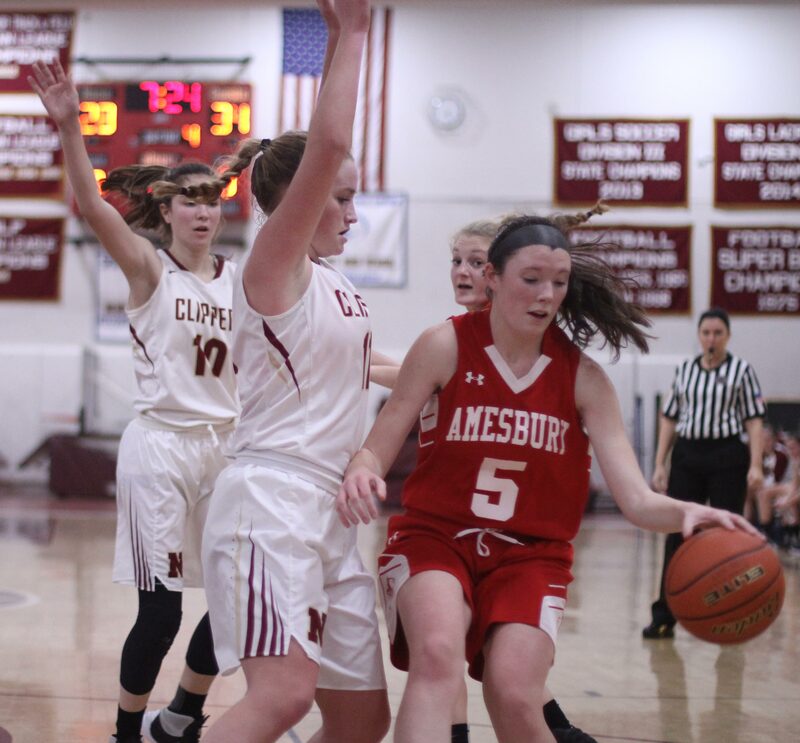 Amesbury collected thirty-two points (that’s four per minute!) on one layup after another. 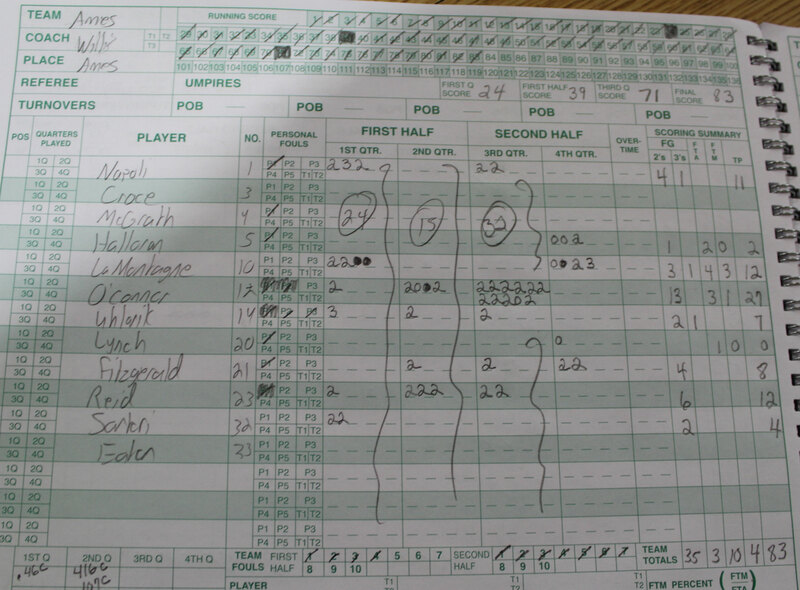 The miscues mounted for C’Town and the Indians had numerous breakaways. 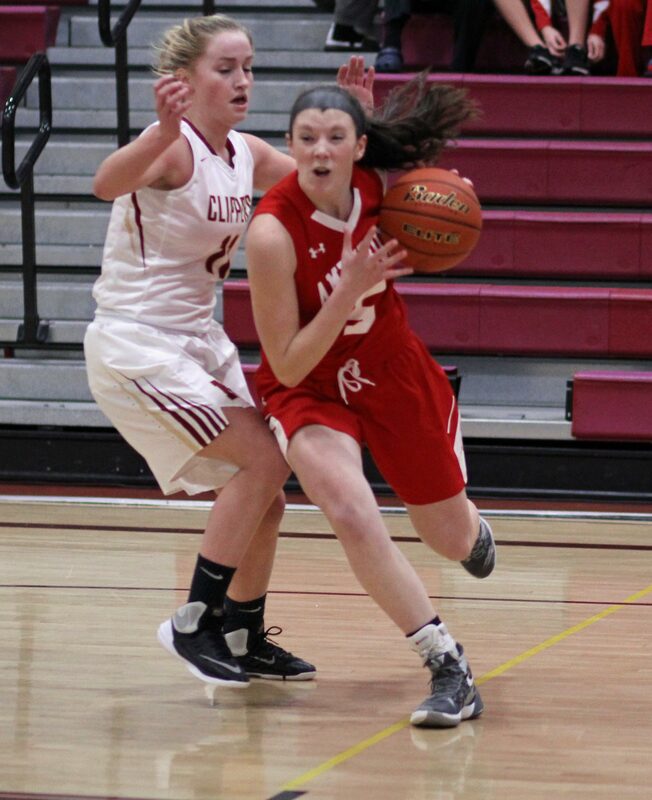 Freshman Flannery O’Connor (27 points) ran her own personal layup drill getting ahead of the pack or loose underneath for ten baskets in the third quarter alone. By then this game was begging for a basketball mercy rule like softball has. The point separation did give Coach Willis a chance to give all of his players tournament experience. #7 seed Amesbury will now take on #2 seed Bishop Fenwick at St. John’s Prep (Danvers) on Friday night (7PM). The Indians will have their hands full in that one. 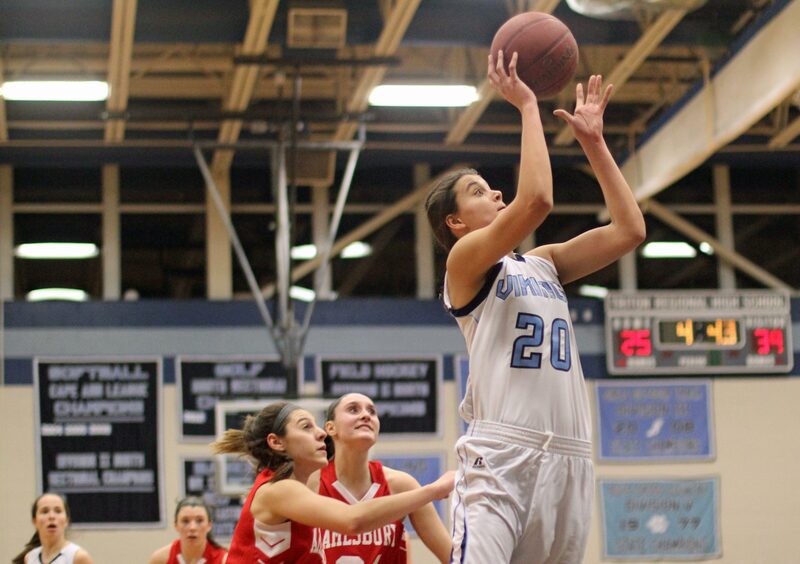 Charlestown ended their season losing seven of their last nine games. 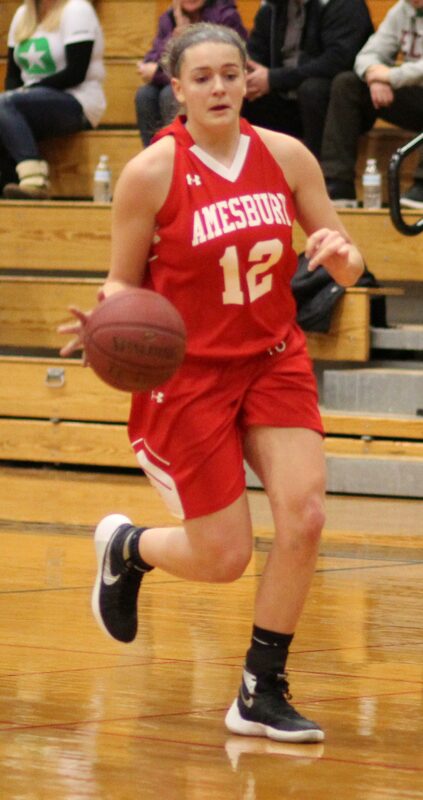 Amesbury finished 7-2 at home. Good turnout in support of the Indians including the boys basketball team. The boys play at home on Wednesday against Saugus. 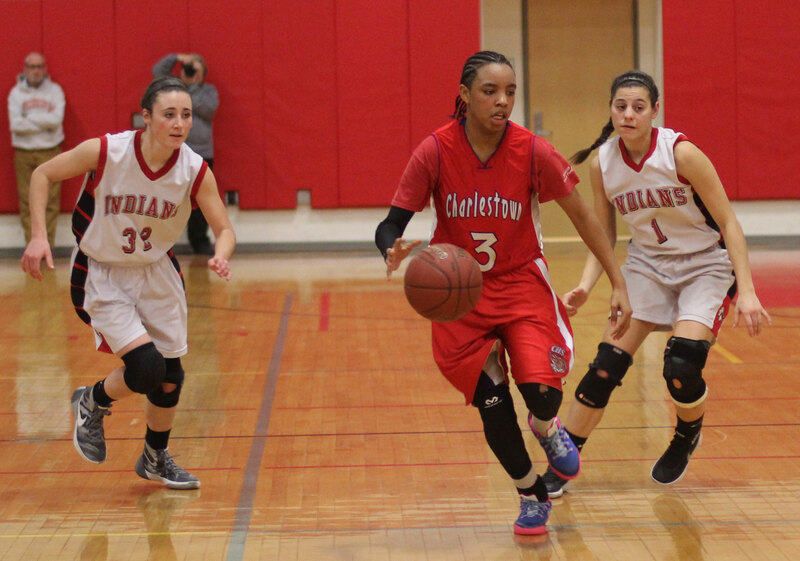 The Indians shot well from the outside early on but cooled off significantly during the last three quarters. 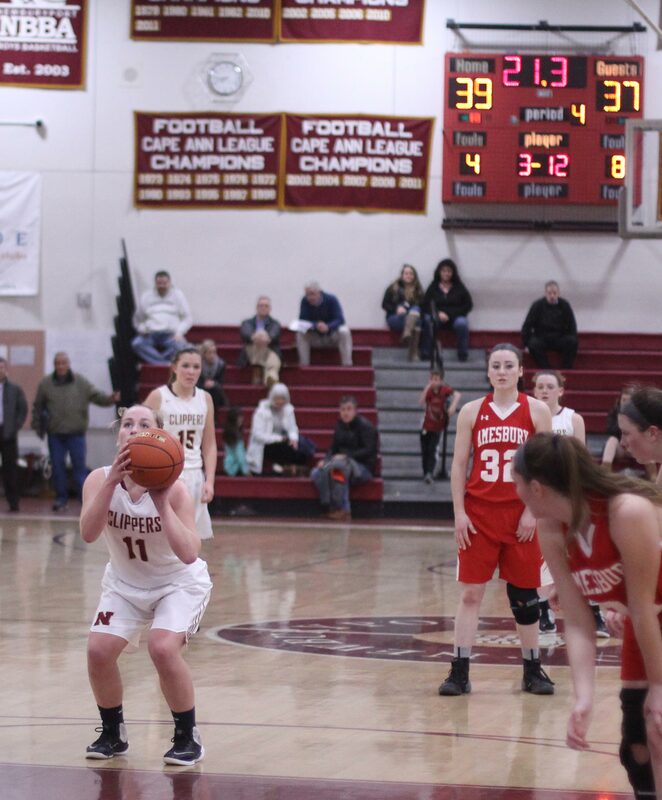 They will definitely need outside shooting against a tall Bishop Fenwick team. 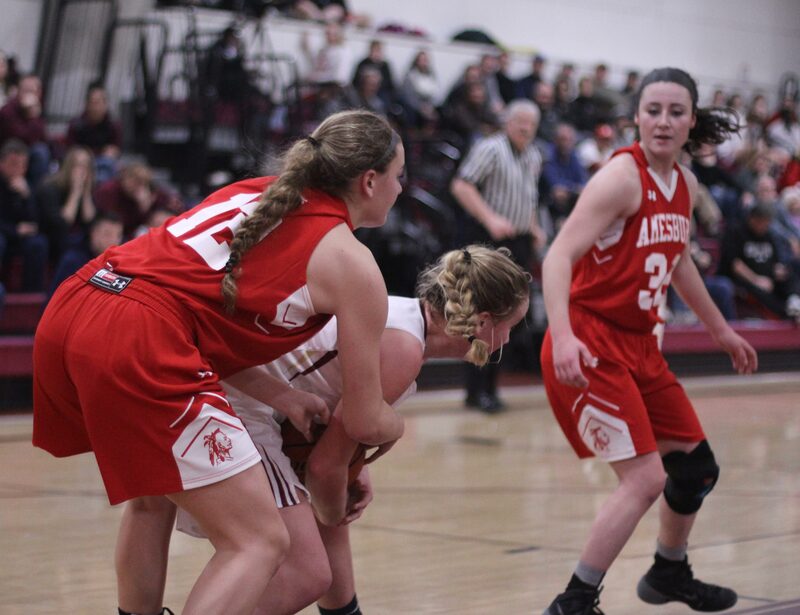 Flannery O’Connor, Megan Reid (12 points), and Julie LaMontagne (12 points) were strong on the boards for Amesbury. 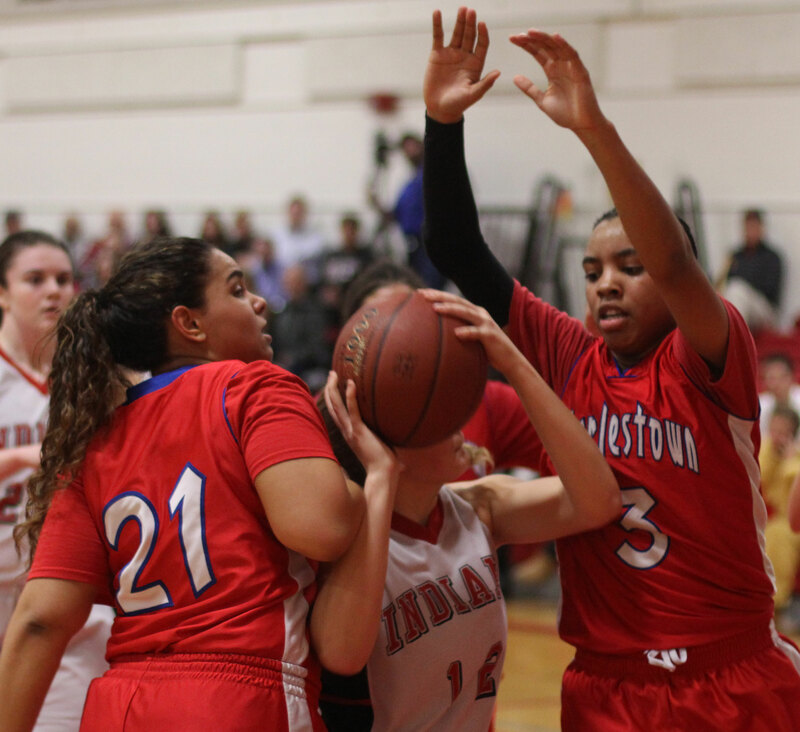 Charlestown finished winless against the Cape Ann League in five attempts. None of the games, including tonight’s, were close. 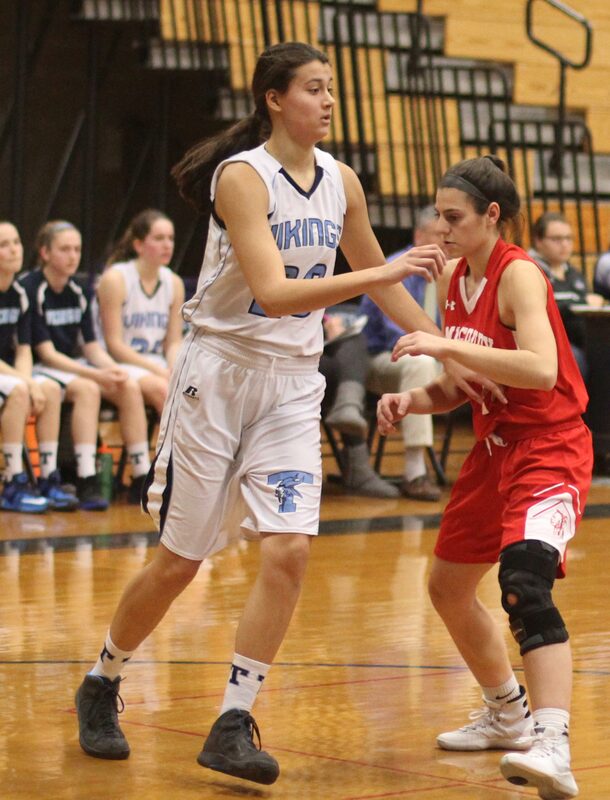 #1 seed North Reading had 71-20 and 59-19 victories over the Townies.